BROOKLYN (JUNE 9, 2017) — AIDS Healthcare Foundation (AHF), the largest global AIDS organization, is proud to once again join the LGBTQ community in celebrating the 2017 Gay Pride season through its planned participation in more than two dozen Pride events across the country. Founded in Los Angeles as AIDS Hospice Foundation in 1987 to provide a facility for terminally ill AIDS patients in California, AHF is celebrating its 30th Anniversary this year and continues to support LGBTQ equality and the expansion of health care services to treat people living with HIV/AIDS. At festivals throughout the 2017 Pride season, AHF will give away free condoms, share information on STD prevention and treatment, and provide free HIV testing. 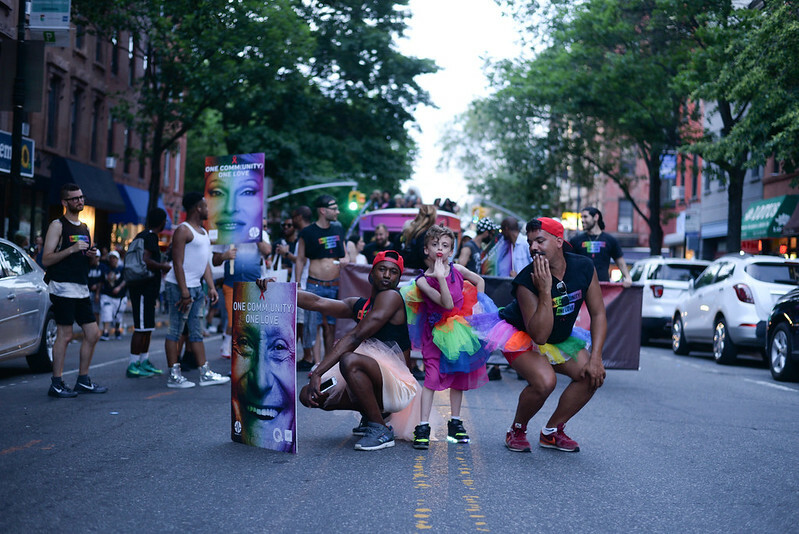 At the Brooklyn Pride parade on Saturday, June 10, AHF staff and patients will march in the twilight parade that will be led by AHF’s Northern Region Director of Pharmacy Sales Michael Camacho, who has been named a 2017 Grand Marshal. The parade steps off promptly at 7:30 p.m. around Lincoln Place and ends at 9th St. & 5th Avenue. AHF’s Michael Camacho served as Grand Marshal at the 2017 Brooklyn Pride Parade. AHF is proud to support the LGBTQ community in Brooklyn through its AHF Healthcare Center, pharmacy and Out of the Closet Thrift Store, located at 475 Atlantic Avenue. In the greater New York City area, AHF Healthcare Centers are also located in Chelsea, Midtown and Jamaica, Queens. At the Capital Pride parade on Saturday, June 10, AHF staff, patients and members of the Impulse Group will take part in the annual parade that steps off Saturday, June 10, 2017 at 4:30 pm from 22nd & P Streets, NW, Washington, DC. The Pride Parade travels 1.5 miles through Dupont Circle and 17th Street, passes by the Logan Circle neighborhood and ends along the revitalized 14th Street corridor at S Street. AHF is proud to support the LGBTQ community in the Washington, DC area through its AHF Healthcare Centers located at 2141 K St. NW, Suite 606 and 1647 Benning Road NE, Suite 303 in Southeast Washington, DC. AHF also operates a healthcare center in Temple Hills, MD located at 4302 Saint Barnabas Rd., Suite B. On Sunday, June 11 AHF will also march in the Long Island Pride Parade that begins at 12:00 p.m. on Broadway at Laurelton Blvd., and proceeds East on Broadway to Long Beach Blvd. In addition to providing free HIV testing and giveaways at Pride festivals nationwide, AHF patients, volunteers and staff will also march with its signature “One Community, One Love” Pride bus wrapped with smiling faces that represent the diversity of LGBTQ individuals and families. The bus is scheduled to appear in Pride parades in U.S. cities including Brooklyn (6/10); Long Island (6/11); Washington, DC (6/10); Columbus, OH (6/16); Houston (6/24); New York City, NY (6/25); San Diego (7/15); Oakland, CA (9/10); Dallas (9/16); Atlanta, GA (10/14); and Las Vegas (10/20).